Like many blogs, this little slice of the interwebs has been quieter than usual. I am in the lucky position to actually know many of the music bloggers I recommend here and follow over on Twitter, and save a few, our experience has been the same. As it turns out, we’ve all been so busy doing the thing that we’ve had to put writing about the thing on the back burner. After a little ruminating, I have to ask: Is this so bad? As always, it’s about striking a balance. A year of once-weekly posts shouldn’t kill this blog. Especially if I emerge on the other end of the tunnel with a few semesters’ worth of experience and ridiculous anecdotes to share. But even in my literature review (the cognitive effects of music on brain damaged individuals) and my curriculum design (top secret!) I try to point directly at things that are important to me. That way, even if I have less time to write, at least I know that I’ll end up somewhere I recognize, somewhere (roughly) of my own choosing. PreviousMendelssohn vs. Me, round 3: rusty! I found your blog about a week ago and have gotten a surprising amount out of it, particularly about attitudes toward practice and being a beginner as an adult. Unlike the above commenter, I have a teacher who I see for weekly lessons, but it always seems they are infinitely too short and we never get to talking about everything I'm ready to learn. And it so happens that many of your posts address a lot of what I need. This may sound quite ridiculous, but since putting into practice some of the things I've read here, I seem to be a completely different cellist (told you it sounds ridiculous.) You've inspired me to be bold and risky instead of cautious and timid and terrified of making mistakes. By being willing to make mistakes I finally can play a REAL vibrato! 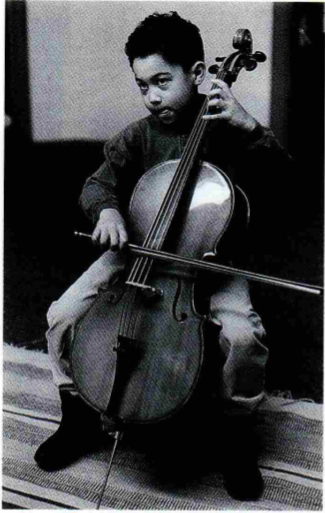 You've also inspired me to blog about my adventures of being an adult beginning cellist. elysiajoy.wordpress.com if you ever feel like reading it. Hi Emily – I always love your blog because I get the teacher's point of view so well. But you're right; I haven't had a chance to come by much. ooh, the neuroscience and lit review sound super-interesting too! I was really moved by the last chapter of Oliver Sacks' Musicophilia–on the benefits of music to people suffering from dementia — where music is a kind of medium for experiencing and expressing selfhood for those whose self is so under assault. It would be fantastic if there was more readily available provision for music therapy in health care services, to benefit patients and their carers! (I don't know if this is entirely related, but.. my two cents..) Whether people read it or not, I like to write to get my own thoughts in order, to clarify my own ideas and understandings. It's nice to not be obliged to write anything regularly. I can't imagine writing everyday having the same therapeutic effect that really spilling your guts after a month's silence has.